If you have trauma in your background, you may find that your relationships are adversely affected. How trauma affects relationships is related to your unique experience, but there are also some typical responses. Trauma can take many forms. It can come from a more obvious event such as an earthquake, accident, war or even major surgery. Trauma can also result from assault, abuse, family problems or neglect. This emotional pain can haunt you and is often experienced quietly, without anyone knowing. For some, the impact of trauma may last several weeks or months. Then you can gradually return to earlier ways of relating, and feel safe again. For others, reestablishing safety seems impossible. If you can’t seem to find stable ground again, trauma therapy can be an important step towards healing. Traumatic events deeply challenge your sense that you are safe in the world. There may have been a time when you did feel secure, but now your confidence in the future is shaky. You may even feel that you don’t have a future, or that you don’t have any faith in your future. 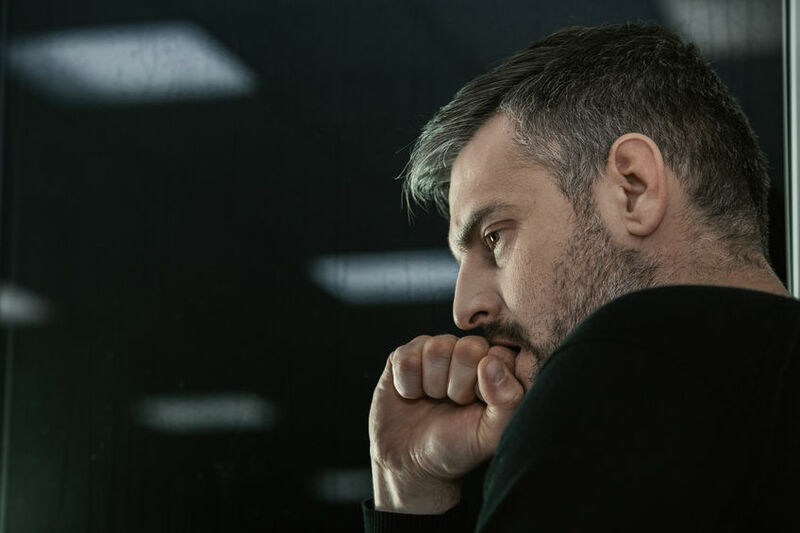 Suffering trauma may cause you to feel differently about yourself and about your friends, family and coworkers, as well as your significant other. You may now expect danger and become aware of feeling way more vulnerable. Some people stop trusting their partners while others feel angry and may lash out. So, you can see how trauma affects relationships. The lack of control over what happened can make you feel like you have to control others. You may go out of your way to maintain control over your life, and your loved ones may feel stifled as a result. That is how trauma affects relationships. Feeling threatened is a natural response to trauma. Reacting with aggression is normal, but may also scare the people closest to you. You might feel shame and guilt about what happened and about not being able to do something about it. Feeling bad or defective is a common reaction. You can feel overwhelmed and over-reactive. This might cause you to withdraw and isolate from your loved ones. You might be concerned that you will burden others with what you’ve been through. Or, you don’t really want to deal with it, so you keep it inside. This can cause you to be distant and detached from the people you love the most. It is common for trauma survivors to feel scared, which can make intimacy more difficult. Experiencing all these feelings can be confusing and being close can feel like something to be avoided. If you don’t feel safe, being vulnerable and trusting your partner may be beyond your ability. If you are always bracing for the next impact, this is how trauma affects relationships. You will feel like you want to reestablish a sense of stability. You might be looking to your partner to help you with that, but that might be beyond your partners ability. Trauma often takes a toll on your body. The physical tension brought on by bracing for impact can have serious consequences for your health and sexual intimacy. By bracing I mean tensing up as you wait for what is coming. This is often automatic, without any conscious control. Your body does it automatically. It can last for a few seconds during a one time traumatic event. If you have repeated trauma, tension can also become a habit, and your body can remain tense for long periods of time. Sometimes, your body never goes back to a relaxed state. This tension is caused by intense fight or flight reactions that manifest physically. Tension and stress take a serious toll on your well being. This is how trauma affects relationships and sexual relations. When you are traumatized, it is like being betrayed by the world. When your partner doesn’t seem to understand or validate you, this can lead to further mistrust. If you can, try to explain what your needs are and how you are feeling and why. Going through trauma is all consuming, but try to remember that there is no way your partner can ‘just know’ how you feel. It is no one’s fault that what you need is more than what your partner is able to give. This is where therapy comes in. You can get the treatment you need and, in combination with your partner’s love and care, start to heal. Then, you can thank your partner for what they can give and work on the rest in therapy. When children and young people experience trauma, especially physical, emotional and sexual abuse or neglect, they often start believing deep down that they are flawed and unworthy of real love. You start to feel that no one can really be trusted and these thoughts and beliefs can wreak havoc in relationships throughout life. When early childhood or teenage relationships are sources of overwhelming fear, or when parental neglect or abuse leaves a person feeling helpless and alone, you begin to develop beliefs that change how you view the world. Beliefs like, ‘don’t trust anyone’, ‘the world is not safe’, ‘don’t reach out’, ‘don’t be a burden’, ‘forget how you feel, just power through it and move on’. Fear can make you emotionally reactive, which escalates disagreements and this impacts necessary communication in a relationship. Trauma causes you to have more intense reactions towards normal relationship issues. In turn, this can lead to withdrawal, distancing, and an ability to talk through problems. It is difficult to have good will toward your partner when you have learned not to trust. If you continually doubt your partners love despite repeated reassurance, you can see how trauma affects relationships. If you or your partner was abused by a trusted adult, this undermines the most basic aspects of trust and safety. In turn, feeling calm, and expecting caring and comforting connections in adult life is seriously disrupted. Instead, memories of betrayal, loss, shame and violation intrude on adult relationships. Other often more subtle forms of trauma are caused by parental abandonment or enmeshment. Physical abandonment can result from divorce or death. Emotional abandonment happens when a caregiver cannot provide attention, acceptance, love, guidance, and caring. The reasons for abandonment are many and include substance abuse, mental or physical illness, or parents who are preoccupied with their own problems or needs. Also, it can be caused by ongoing behavior that does not match the child’s temperament. Enmeshment happens when a parent needs the child to take care of their emotional needs. This is a role reversal, since children need to rely on the parent to take care of them, not the other way around. Children naturally want to please their parents, so they pick up on what the the parents need and try to parent their parent. Sadly, the needs of the child do not get met. Long term, this will affect future relationships. Taking care of others while ignoring yourself leads to codependency issues such as self-esteem problems and difficulty setting limits. This leads to one-sided relationships. Learning to love and care for yourself is important to being in a healthy relationship. You may need to learn to put yourself first. This can be hard if you learned that you had to take care of your parents first if any of your own needs were going to be met. Sometimes your needs were never met at all. So meeting our own needs first can seems like an impossible dream. Here is a hypothetical example of how childhood trauma affects relationships. Joe returns from work after 8pm four nights a week, so he often goes to bed after midnight. Instead of taking care of himself and sleeping in, he neglects his own needs and wakes up at 6:00 a.m. to clean up the house. His wife does not expect him to do this, but he cannot stop himself from making sure the house looks perfect. Over time, he begins to resent his wife for not helping keep the house clean and tidy. He gets more and more frustrated and tired from lack of sleep. He resorts to yelling and shaming his wife. This slowly erodes their intimacy. His frustration mirrors his feelings towards his parents who kept a chaotic and dirty house. He never felt comfortable having friends over and felt ashamed of his childhood home. Joe experienced a subtle type of neglect and abandonment growing up. This affects his relationship in the present, since now he is trying to control his environment to the extreme. He does this so he will never feel ashamed and embarassed again. Unfortunately he winds up pushing his wife away and not really having the loving and caring environment that he needs. Parents can have no idea that they are enmeshed or abandoning. They are just repeating what their own caregivers did to them. That is why it is so important to become conscious of what went wrong and stop the cycle. You may not even realize that you’ve been dealing with trauma and how trauma affects relationships. This is quite common, and trauma-informed therapy can help. You can realize how you’ve experienced trauma, abuse or neglect and how it still affects you and your relationships. That way, you can start to separate the past from your present. A combination of individual and couples sessions is often very useful. Neurofeedback and Eye Movement Desensitization and Reprocessing EMDR are excellent treatments for healing trauma. Neurofeedback calms down your nervous system, releasing physical tension and emotional stress, anxiety and depression. EMDR desensitizes you to specific traumas that haunt you. If you are in the Torrance or Santa Monica areas and think that therapy can help you, please reach out to me on my confidential voice mail 310-314-6933 or email me mfoxmft@yahoo.com.